The ComfoAir Q600 is a new generation of residential heat recovery ventilation units with intelligent technology and state-ofthe-art design. It suits medium to large size homes and includes a high efficiency counter-flow heat exchanger that can recover up to 96% of heat. 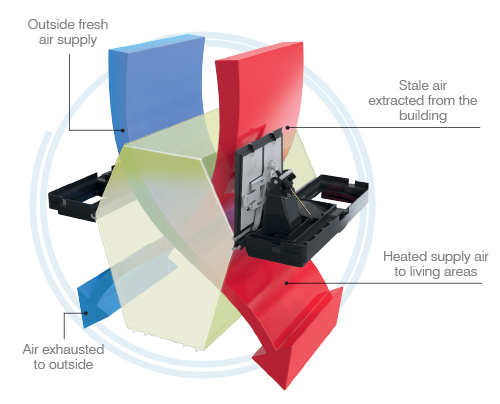 The ComfoAir Q600 is an intelligent, ultra efficient heat recovery ventilation system that provides a healthier more comfortable indoor space. 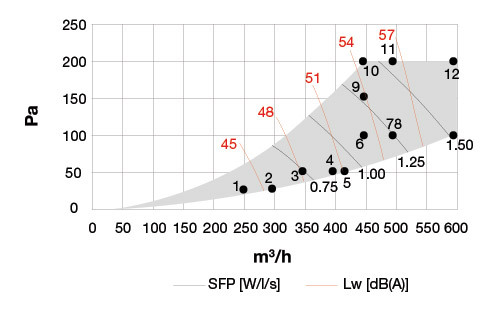 New integrated technologies helps to deliver market leading performance including efficient heat recover (up to 96%), low noise generation and reduced power consumption. Temperature and humidity sensors allow the unit to respond automatically to changing environmental conditions and deliver low maintenance trouble free operation. The ComfoAir Q600 extracts the heat energy, which would have otherwise been lost through the normal exhaust processes, and transfers this to the fresh, filtered supply air which is drawn in from outside. 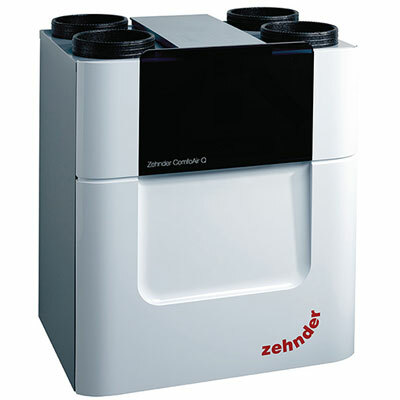 The unique diamond shaped heat exchanger features a larger surface area, which provides a higher level of efficiency. 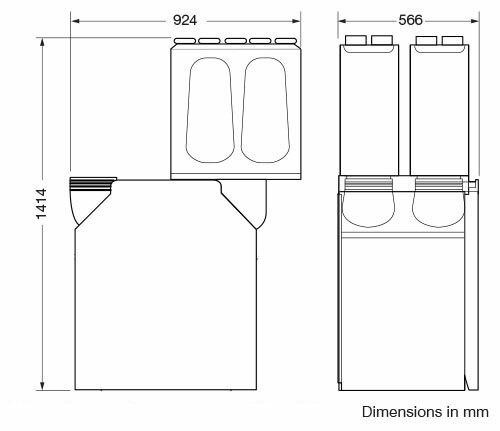 The exchanger features fully optimised channel heights to ensure a constant air flow with lower pressure loss. The ComfoAir Q600, counter - flow exchanger operates in energy recovery mode to maximise heat recovery transfer throughout the year. 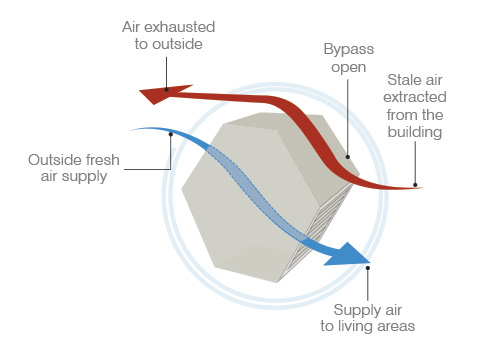 Summer bypass operation can also be also used to allow cooler air to be brought directly into the building, when the inside temperature has increased above the comfort temperature.